Nicole is absolutely AMAZING! She has the patience of an angel with my children and is always determined to get the BEST shot. I no longer consider her my photographer, but a friend as well! 🙂 You won't find anyone better (or sweeter)! Nicole is awesome! She has been my family photographer for 3 years. She has captured the most amazing pictures of my little girl. She is so patient and sweet with her! 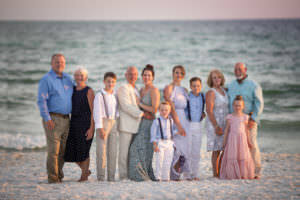 I am so thankful to have found her to photograph our family!! My experience working with Nicole was great! I spent weeks looking for a photographer that I could use for my maternity and my baby pictures. Someone suggested that I check out Nicole’s site and when I did, I was very impressed. As soon as I saw her newborn pictures I was sold! I knew I had found exactly what I had been searching for in a photographer. Nicole is creative and has a God given talent for photography. She made my maternity session so comfortable and so much fun and I could not be happier with the turnout of the pictures. And her ability to work with babies is amazing! I had twins so she had her hands full with two newborn babies at once and she handled it with such grace and patience. My husband and I were both so impressed with the way she interacted with the babies and the shots she was able to get. Truly remarkable! We were blessed to find Nicole and now have wonderful pictures that we will enjoy for years to come! It's not often that you can walk into a place of business and meet a friend. But when I walked into Nicole's' studio I knew I had met a friend for life. She was absolutely amazing and oozing with personality. Not only did she shoot my maternity photo's she also shot my 6 day old son, Kaede. My maternity shoot was so much fun and she made me feel so comfortable. And for Kaedes newborn shoot she did great. Its hard to let someone else handle your new baby but I had no reservations about letting her handle him. She was so patient and handled him with ease. The pictures were fantastic and we got them back so quick! I would refer anyone to her and plan on using her for years to come! My husband and I wholeheartedly recommend Nicole to anyone getting married who wants to make their wedding day special by having such a wonderful photographer. The moments she captured are breathtaking and dear to my heart. Not only does she take beautiful pictures, but she is a joy to be around. Nicole and I felt like instant friends even at our first encounter. My husband and I will always be able to relive our wedding day from the photos that Nicole has taken of us, and we thank her for that. My daughter is almost 6 months old and she had a photo shoot with Nicole. It was wonderful! Not only were the pictures fabulous but she was wonderful with my little girl. She was so patient and understanding with her! She took her time getting to know my daughter and we felt so special to be getting pictures done! It was a great experience and I cannot wait to come back for more pictures!!! My experience with Nicole was amazing. I thought it was going to be very awkward, but she made me feel so comfortable. I felt as if I had known her all my life and was getting my pictures taken by a best friend instead of a complete stranger. I loved the outcome of the photos. They looked very good and I have received many compliments on them. In fact, one of my friends is now using her to do her wedding photos because of the outcome of my photos. I am glad I chose Nicole to do my senior portraits. I really enjoyed it! I always tell everyone Nicole was a God send. She did my first son’s “grow with me” photos, and I am excited to have her shoot our next son’s as well. Each time, she not only gave me those magical pictures every mom dreams of, but she completely exceeded all of my expectations! My husband and I have talked about her patience and diligence since that very first photo shoot. We never once felt rushed, and I knew she cared just as much about getting those perfect pictures as we did. I was praying to get a couple of good pictures for the baby book, but I got much more than I ever dreamed including an amazing woman that I am blessed to call my friend! Nicole is fantastic! You will never be disappointed with a photo investment with her. She photographed my first born 3 years ago and recently my newborn and the pictures are beautiful. It is amazing how she soothes a newborn into such perfect poses and such a blessing to watch. The hardest part is picking from all the wonderful photos. Such a great experience overall.